Within this 75-acre park, mountain bikers and trail runners will certainly find some fun single track trails that suit their fancy. 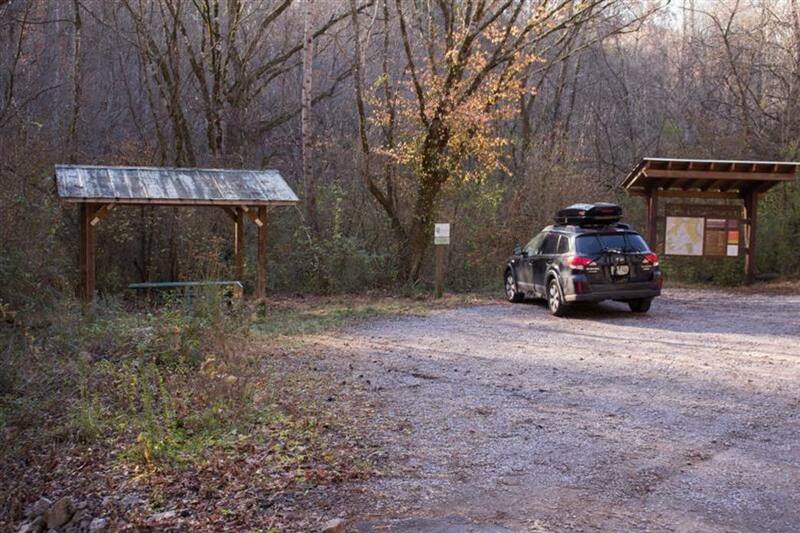 Hastie Park offers hikers, trail runners, and mountain bikers about 5 miles of great single track trail through lush forests full of creek crossings and wildflower meadows. Hastie is connected to the Urban Wilderness Corridor, so if you want more mileage, there are lots of great extensions. The trails at Hastie can be a little rocky and rooty with some good climbing as well, so if you're looking for some good technical riding or running, this is a great option. The solitude. Because the trails at Hastie are connected to the Wilderness Corridor, many people will ride through the trails on their way to other areas. These people are most often crossing between the Mead's Quarry area and the trails near Anderson Elementary, and often only use the path of least resistance to get through. Because of this, there is often nobody parked at the Hastie Parking lot and even more often not anyone on any of the outer trails (a intermediate/advanced rider's/runner's paradise). 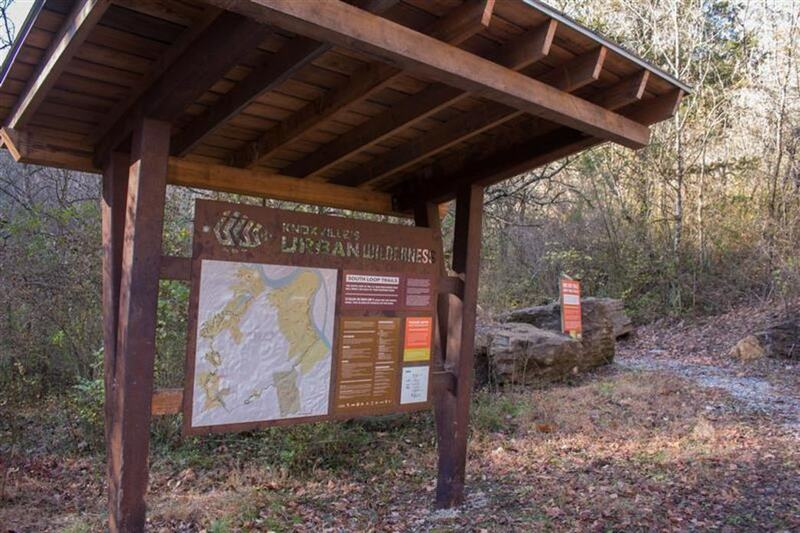 Once you've spent a good bit of time riding other trails in the Knoxville area, you will see that most of the areas feature a little bit of everything. Most areas have some hills, some rooty and rocky technical aspects, some scattered wooden features, and many other classic trail styles. Hastie has some of it all, but unlike other areas there is a uniformity in difficulty. The outer loops of trails at Hastie are all black diamond trails, with the easier connector trails running through the center of the park and giving passage to riders or runners exploring more of the Wilderness Corridor. 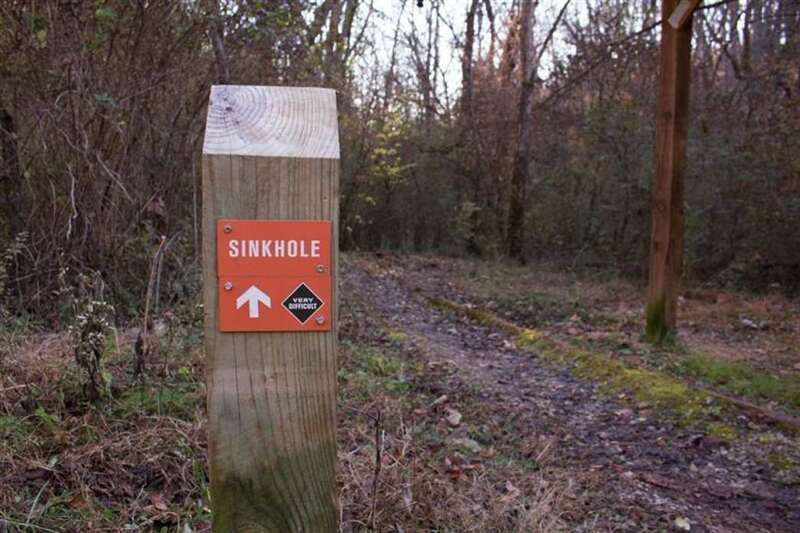 For a good taste of what the Hastie trails have to offer, try the Sinkhole trail that has a trailhead at the main parking area. The roots and rocks give a good technical ride with several wooden features. 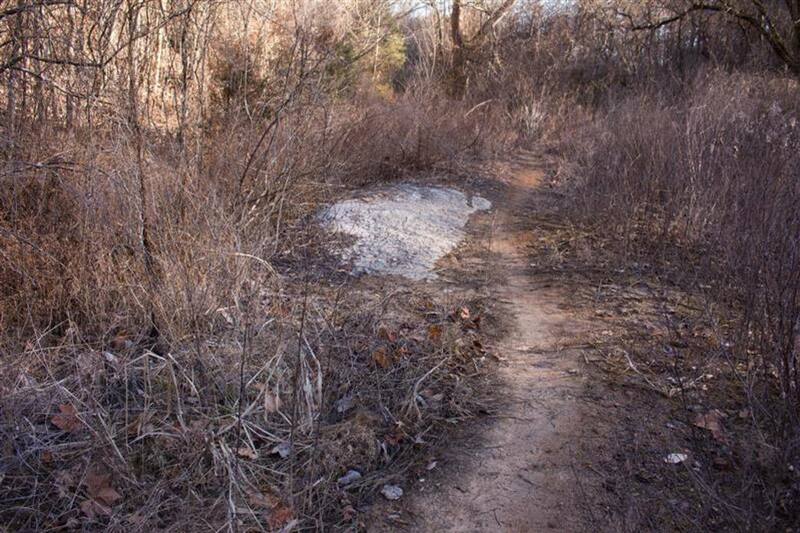 This trail is very slick when damp, so be careful! Although anyone will love using the Hastie trails as connectors for other areas in the Corridor, more experienced users will have the most options here. 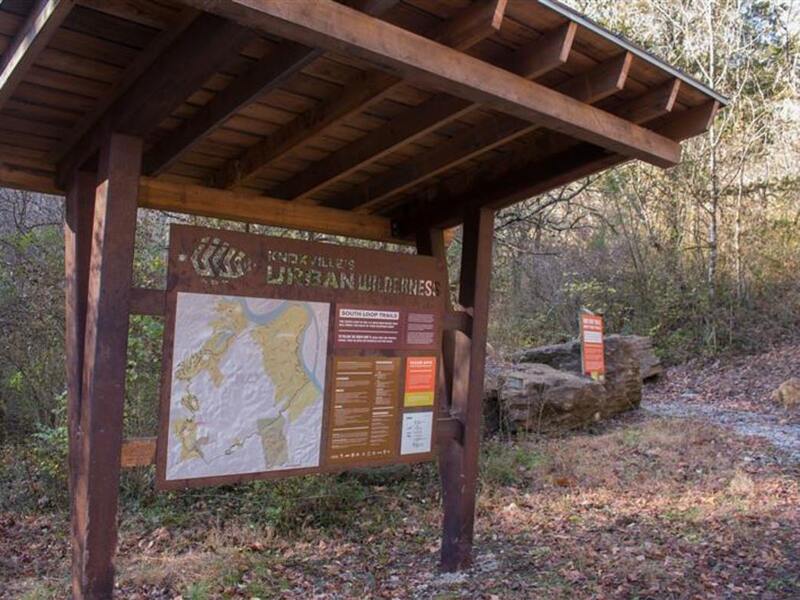 Although total milage of trails is lower here than other areas in Knoxville, there are plenty of harder trails for runners and bikers to play around with on their visits. Parking for the Hastie Trails is found by turning down Margaret Road (even though it looks like a dead-end neighborhood) and following it past the gate to the small parking lot. Several trailheads leave from this lot, including the Margaret Road Trail which acts as the main route through Hastie between other trail systems.A large trail map can be found here at the parking lot, or you can click here and look online.